The Massage Octopus is a nice addition during the Euro or oil massage. Enjoy this toy and order him along right away. The Octopus massage tool is a great addition during a Nuru or Oil massage. It will let you relax and ask for more. The octopus massage pleaser can also be used in the shower or bath. Rub him as required by each body back and forth and give each other a massage. 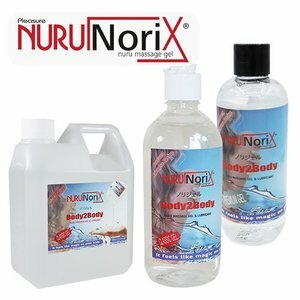 This massage tool is a perfect combination with our Nuru Gel and the Norix Massage Oil. The Octopus Pleaser and his eight fingers will give an extra dimension to the intimate moment that you will experience with your partner. He feels great on the skin and can be just soft or just hard during the massage with the Nuru gel or massage oil. Also, the Octopus pleaser is very easy to clean. Enjoy each other, enjoy this octopus massage pleaser and order it right away with your Nuru gel or the Norix massage oil.